This blog is an affiliate of Adagio Teas - When purchasing through this link, a small commission fee is earned by the blogger which goes towards supporting the blog. I’ve been looking to start this portion of my blog and finally have the chance to do so with some of my more recent bookish purchases. 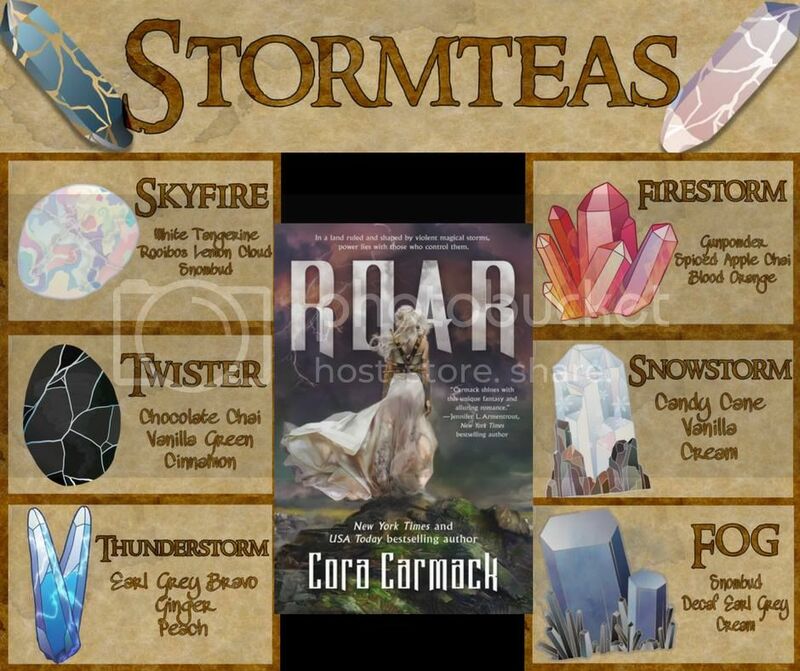 The first review I have is for the fandom tea blend Stormteas from Adagio Teas based off of Cora Carmack’s newest novel, Roar. 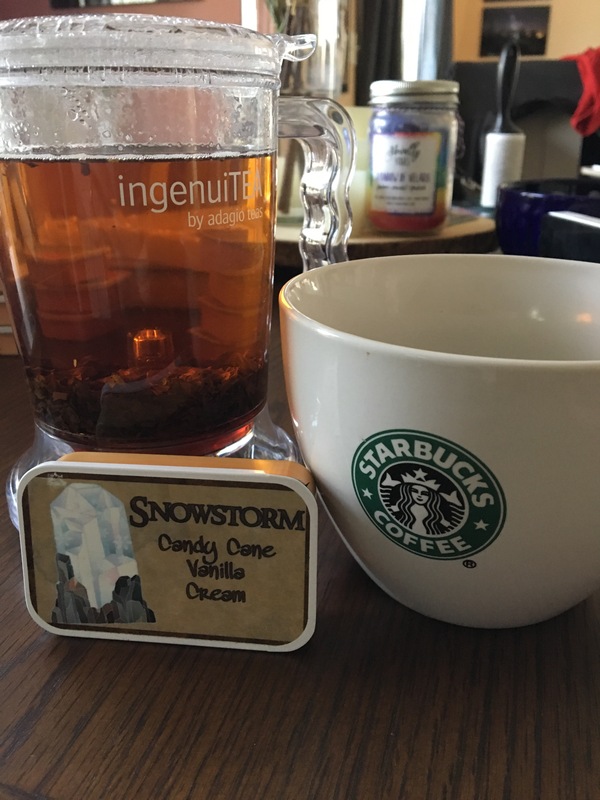 I actually created these blends myself and it was a fun process to figure out what flavors I thought would match the different storms mentioned in the books, as well as the artwork for the tins. Some of the storms are pretty destructive, but I didn’t want the teas to taste horrible. In all, it’s a pretty solid set blend. It is $24 for the set of 6 ($4/ea) or you can purchase single samplers of each for $5. Teas: White Tangerine, Rooibos Lemon Cloud, Snowbud, accented w/ Safflower. My Rating: Even though this tea has low caffeine, the citrus really energizes you. There’s a bit of a fizzy feeling from the taste, but it’s not carbonated – it’s a very light tea. I like that it has a yellowish color to it for lightning. Teas: Chocolate Chai, Vanilla Green, Cinnamon, accented w/ Cocoa Nibs. My Rating: Fun thing about this tea is that it started steeping in a greenish color then turned into this darker brown. Smells chocolatey and earthy. This one I didn’t want to make super harsh, but it’s definitely got a spicy kick to it due to the cinnamon and chai. My Rating: the aroma of this one is quite strong in the leaves, yet mellows once steeped. I suggest adding honey to this one to really bring out the peach and ginger or the earl grey will overpower. Reminds me of summer thunderstorms in the south. My Rating: I’m so glad the red came out in this tea (thank you hibiscus flowers). Firestorm is spicy, but the apple/orange flavors blend to create this cozy/warm taste…much like a fireside. My Rating: This blend definitely lives up to the way fog works in Roar – tastes mellow and calming, yet there’s a fuzzy/hazy feeling it gives. Pretty solid brew and even with the caffeine count in it, it would be a decent night drink. If you end up purchasing these teas for yourself or as a gift, please come back to let me know what you think about them and be sure to give them a review on Adagio. 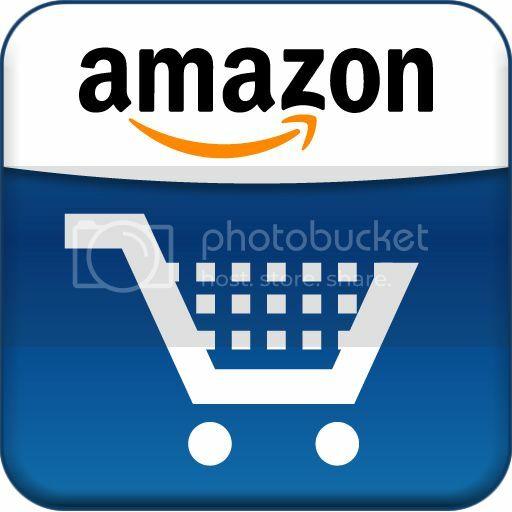 If you would like a $5 off your first purchase on the site, drop a comment too so I can send you a gift certificate. Writing prompts (posted in advance) for “10 Books That …” and other bookish prompts in a list. This week’s Top 10 Tuesday is all about fandoms – so I’m going to give you a little breakdown of 10 of my favorites, in no particular order. 1. Star Wars – I’ve been a fan of SW since I was a kid. I love that the story arcs fit so well into Joseph Campbell’s archetype of hero stories. One of the few space themed fandoms that I love. The costumes, the characters, the worlds, etc. Fun fact: my husband and I are a part of the 50st Legion, one of the biggest SW costuming groups. 2. Disney – I am a lover of ALL THINGS Disney. I love going to the parks, movies, music, etc. I don’t know if it’s the nostalgia factor or what, but Disney just makes me happy. If I could move back to FL, I would definitely move closer to WDW and even work there. 3. Batman – This totally stems from something me and my dad share a love for. Being an only child and a girl can be hard to find common ground with your dad, Batman was the connection. I had a Batman themed mustang and when I played soccer, the Bat-symbol adorned my jersey. 4. Doctor Who – so I was super invested in the Doctor Who fandom, up until the 12th doctor. The eleventh doctor is by far my favorite incarnation. There was child-like whimsy yet a wise man who was tired in this version. It’s such a quirky show and I love it! 5. Lord of the Rings – Tolkien was the first bit of high fantasy I was introduced to. What’s not to like about elves, dwarves, orcs, hobbits, wizards?! 6. Sarah J. Maas – This woman…the Court series is what got me hooked (HELLO Rhysand!) and her Throne of Glass series is what fills my time until I get my next dose of her books. She is the queen of book boyfriends. 7. Final Fantasy – I’ve really enjoyed the Final Fantasy series, favorites being VII, X/X-2, and XV. The animation and stories are amazing…plus who doesn’t love some eye candy? Vincent Valentine is bae. I have some shameful fanfiction in some notebooks that my husband just recently dug up and I pretty much cackled reading the stuff my friends and I wrote in HS. 8. Kingdom Hearts – I guess this could fall under Disney, but it’s definitely more than that. This was the first game that my parents bought for me on a game console – I wasn’t allowed to have one because they were afraid I’d slack off in school (LOL). Obsessed doesn’t even begin to cover my feelings about this game franchise and I CANNOT wait for the remasters at the end of the month! 9. Harry Potter – Who isn’t in this fandom?! HP is like an old friend, especially if you grew up reading the books at the age Harry starts his adventures at Hogwarts. I’ll always be a fan. 10. Game of Thrones – this is more of a recent fandom. I’ll admit that I’ve primarily gained my love for it through the HBO series, but a goal of mine is to attempt to read the books. I did get through most of GoT, but I know I can fall in love with the books as well. What are your fandoms? Do we have any of the same? This week’s Top 10 Tuesday is about authors you’d like to meet or possibly get their autograph. I’ve got a little bit of a list of people that I think it’d be super neat to meet and will actually be meeting a couple of them in the near future! This list is in order of who I read the longest time ago and have kinda always wanted to meet and forward onto more recent authors I’ve found and would love to meet. J.K. Rowling – I cannot think of anyone I’d like to meet more than her. I’ve ALWAYS wanted to meet her since I read the Harry Potter series. She literally shaped my childhood. Stephanie Meyers – a lot of people gripe about the Twilight series and I’ve got my own thoughts on it as well, but this was the second series I picked up to take me out of my Harry Potter slump. I’ll always be #TeamJacob. Neil Gaiman – Talk about such detailed storytelling. Gaiman was introduced to me in High School by my friends. Orson Scott Card – Now this one I blame on my husband. He’s the BIGGEST OSC fanboy out there, which in turn got me to start reading his novels. I’m still working my way through the worlds of the Enders Saga, but I will say that his Pathfinder series is pretty neat. Ernest Cline – I’m HUGE on nostalgia and there’s something about the books that he has put out just keep me coming back and re-reading them, or well listening on repeat on audio book. I just want to geek out with him. Rainbow Rowell – I’ve read a few of her books and there’s something really authentic about all of them that I really would love to meet her in person to see where these stories come from. I may be seeing her at BookCon in NYC this summer. Jen Sincero – if you haven’t read You Are A Badass, get to your nearest bookstore and pick it up ASAP. Her humor and wit is awesome – plus the book really put things into perspective for me and I would love to thank her for that. Sarah J. Maas – I’ve had friends begging me to read the Throne of Glass and A Court of Thorns and Roses series for FOREVER and I just recently was able to start digging in. This woman knows how to write up some book boyfriends and I just need to hug her for giving me all the feels. I will actually be meeting her this May while she is on the book tour for the third installment of the ACOTAR series. 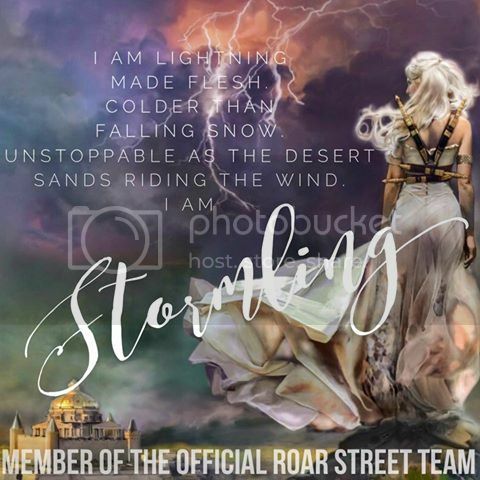 Cora Carmack – I’ve mainly had online interactions with Cora since I am a part of her Roar street team, but she is the NICEST person ever and I totally want to meet her in person to thank her for the opportunity. I’m totally stoked to start reading her other series (I think I’ll delve into the Rusk University series first) and I maaaayyyy be seeing her at BookCon in NYC this summer and again in 2018 when I hopefully go to Apollycon. Stephanie Garber – HAVE YOU READ CARAVAL?!?! I read her awesome authors note from my Owlcrate in February and we have a lot of things in common, so I’d love to meet her. I may see her at BookCon in NYC this summer. I honestly have a TON of authors I’d love to meet and it seems that a lot of them are also on the lineup for BookCon this summer – that’s pretty exciting to me! Do we share any authors that you’d like to meet? Have you met any authors that were really cool? The Friday 56 (with Instagram 56) – Hosted by Freda’s Voice is an easy prompt where you grab a book, any book, and turn to page 56 or 56% on your eReader. Find a sentence that grabs you and post it either on your blog or on Instagram tagged with #Friday56. So I had seen this quote floating around the internet and I’m happy to see that it fell on one of my quote post days. It is true that books can help foster ideas which are powerful if you know how to use them. I will say that books have been a bit of my saving grace these past few months. I think my husband might have noticed a change too in how I’ve been acting. I received a diagnosis of depression back in middle school, along with ADD. Those paired along with the anxiety I have developed in college are a nasty combo. Books have been a great way for me to clear my head and to push the negative thoughts out the door. At least books are cheaper than therapy. Do you relate to this passage in a way? Let me know in the comments! A weekly feature where you can answer the questions in the comments section of the weekly #WAYRW post or link back to your #WAYRW post on your blog via the link up. I’m only a few pages in so far, so I’m not 100% sold on the world just yet. From what I have experienced so far, it seems that the ruling kingdom of the area Celaena is currently in uses their wealth too frivolously and is too hard on conquered people. So, with that being said, at this moment it’s a no. I totally know that I’m WAY behind on reading this series (5 years too late), but I wanted to hear why others who enjoy SJM’s the A Court of Thorns and Roses series liked about the Throne of Glass series. Obviously, I’m a fan of the aforementioned series, but I need to keep reading ToG to see how I feel about it. It definitely starts off with a high-fantasy vibe which is WAY different than how ACOTAR started. I also have a crack-theory that the Fae that were driven out of the lands of Erilea are the same Fae that control the lands of Prythian. I haven’t had to wait as long as others, but I am super stoked to get my hands on this and to check out the ACOWAR book tour when it hits CT in May to meet SJM. I have heard a lot of buzz around this series. I was able to get my hands on an eARC of Blacksouls, so I made sure I got my hands on Blackhearts to read as well. I had read this a few years back for my Women’s Literature class in college and enjoyed it, but didn’t really have a lot sink in because who really retains books that are for work, rather than pleasure? I also want to re-read this before the TV show airs on Hulu. This was dystopian before dystopian was cool. This is something that I want to read for a multitude of reasons, mainly because as a white woman I have a lot of privileges that I sometimes take for granted. With today’s political and cultural climate, I want to know more to be a better ally. So the cover was what drew me in to check this book out and the synopsis is what landed it on my TBR list. Plus, I want to read more diverse authors and situations than my normal fantasy go-tos. So is my current read, but one that I wanted to start to hold me over until I get my hands on SJM’s next release in the ACOTAR series. Hopefully this series lives up to the hype I see surrounding it. I had been eyeing these books since they first came out, but it wasn’t until recently that I was able to pick them up to read. I’m a big fairy tale lover, so I’m always interested in retellings in all forms. I still need to pick up Cress & Winter. THIS HAS BEEN ON MY SHELF FOR AGES! I have no idea why I’ve let it sit so long, but I’m hoping to dig in soon. This was totally purchased because I’m loving the premise of the movie – and what do I do if I know a movie/TV show was sourced from a book? Well, I have to read the book ahead of time. I think that’s a pretty solid TBR list so far for this spring. I’ll probably end up adding more as new books come out or come across my radar. I could probably keep adding to this list with all the books I want to get my hands on. Anything good that you’re looking forward to read this spring?